← Vote for Mary Huls for TX State Representative HD 129. The only TEA Party Grassroots Candidate! 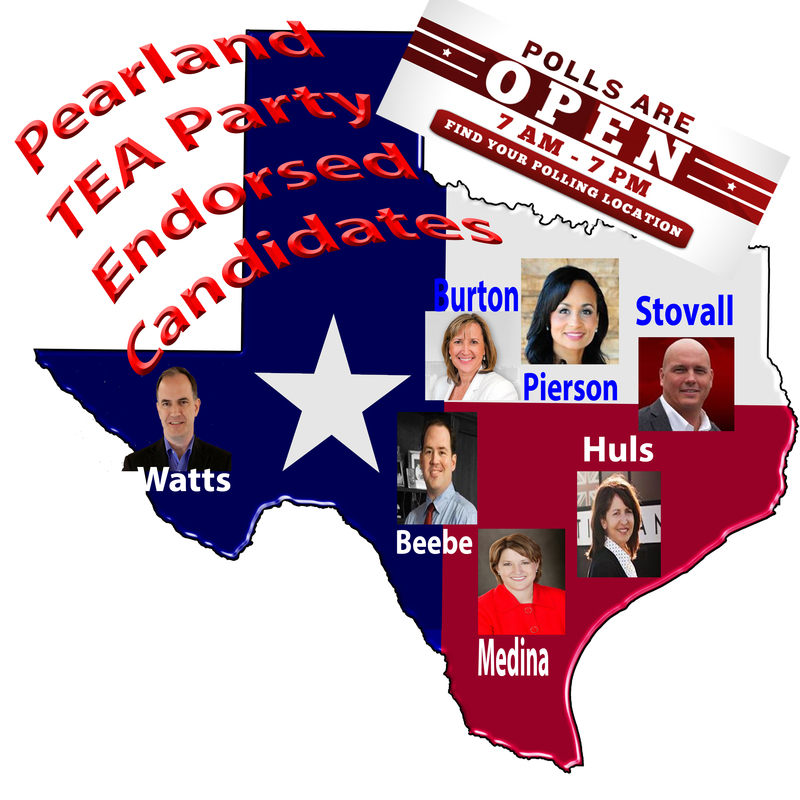 This entry was posted in David Watts, Debra Medina, Dwayne Stovall, Endorsed Candidates, Katrina Pierson, Konni Burton, Mary Huls, Matt Beebe, Pearland TEA Party, TEA Party, Texas, Texas Comptroller, Texas House Representatives, Texas Politics. Bookmark the permalink.